I'm soooo jealous of you all who get to watch it in 3D right now. I'm still waiting for my WeET 3D steelbook to ship, loved this movie in theater the 2 times I saw it. I can imagine how great the 3D must be. LOL. So even this is Obama's fault? Sheesh, you little snowflakes sure are sensitive for folks who scream everyone else is being PC. And why is inclusion a bad thing? Oh, poor you... You had to read a story with a Black lead, rather than White. You'll adjust. The rest of us non-white, non-male folks seem to be able to enjoy movies that don't center us, so you'll be fine if this ONE thing doesn't center you. I know, I know. Change is scary when you're likely a bigot. By the by, if you like Tom Hollins' spiderman, you like Miles Morales, considering they shamelessly picked apart so much of Miles' story to be used for the current Peter Parker. I think the INCLUSION, diversity, and change is refreshing. Way to make everything political, you delicate little thing. Miles is a great character. You'd see that if you weren't blinded by bigotry. Love the miles character but it doesn’t mean his creation wasn’t politically motivated. If you knew anything about the history of comics, the writers infuse a lot of their political beliefs into the comic book characters. Creating a half black half Latino Spider-Man character (who the writers flat out admitted was motivated by politics) is just more of the same and has been going on for 80 years. I’d love to see people’s reaction to a Caucasian black panther. That would be very interesting! But I fear snowflakes like you aren’t ready for that! Instead of quoting posts from 2017 and reviving political horsecrap, maybe we can just be thankful the dude left and not risk drawing him back? This isn't a politics forum; surely we all hear enough of this BS elsewhere without subjecting ourselves to it here, too? Let's just focus on enjoying the film (which most seem to, aside from a disproportionately vocal minority of people) and the 3-D.
Back on topic....Why is the thread still “TBC”? It seems a number of people have confirmed it is region free, no? Just got my 3D Blu-ray from Rahul yesterday. It actually came the same day as my Aquaman 3D Blu-ray from Best Buy. It was a good weekend for watching movies The movie came really well packed and the steel case is simply beautiful. So glad I had an extra plastic case protector for it. As far as the movie goes, my wife and I really enjoyed it and 3D is the way to watch this movie. So many great 3D moments that popped even more because of the art style. Highly recommend. Just too bad many people here in the US will not be able to experience this film in 3D. Last edited by malcolmar; 03-26-2019 at 06:38 AM. Seriously. I don't understand why people feel the need to bring up politics on these forums. Most of us are here to get away from/avoid politics. Go to Reddit if you feel like arguing/memeing/shitposting about politics. Hopefully 13thman will come along and clean up this thread. As far as the movie goes, my wife and I really enjoyed it and 3B is the way to watch this movie. So many great 3D moments that popped even more because of the art style. Highly recommend. Just too bad many people here in the US will not be able to experience this film in 3D. Does the India steelbook have a banner at the top with the languages listed, like in the pictures? Just curious, as I'm thinking about ordering it if it does not. 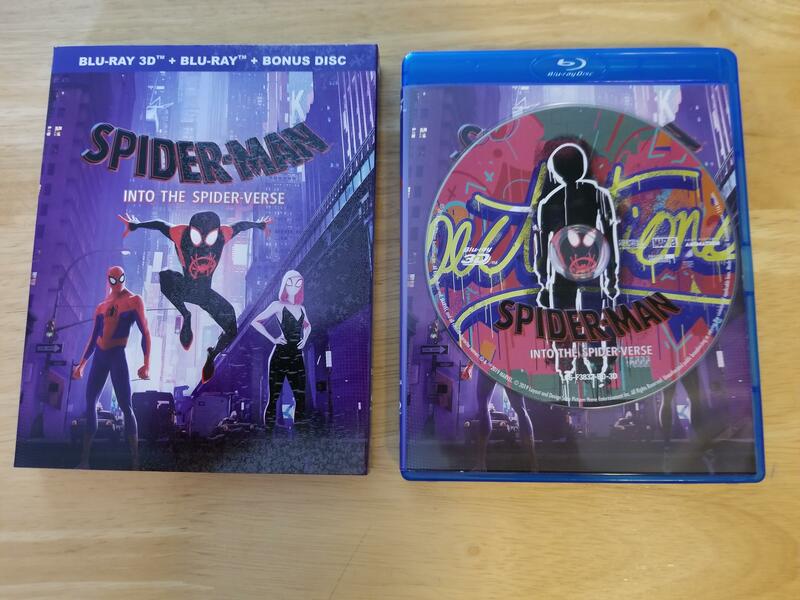 (In the images, up at the top it shows a banner that says "Includes Hindi, Tamil, and Telugu," and the pictures make it look like that text is actually part of the steelbook itself). Last edited by Rek84; 03-25-2019 at 03:09 PM. I got mine from Rahul and I's store today. I ordered this: 3D + 2D two disc, but it came with a 3rd bonus disc. So, I think it was about $3-4 less than the one on ebay. There is no writing at all on the front or back of the steelbook. The paper that comes with it with the details is loose, and does not wrap over the top or bottom. This was expertly packaged by them for shipping. It was in a USPS priority box(perfect size) inside half (covered whole box except one edge) a plastic priority bubble flat rate envelope, inside a paper bubble wrap mailer. Hopefully I'll be able to watch tonight. I had bought the digital copy via FandangoNow and have watched that twice already. ^Thanks for the info. I just ordered from there, canceled my Amazon Germany 3D blu-ray pre-order and going to return the Best Buy US steelbook I picked up (which I hadn't opened yet). Good to know I ordered mine from him on Friday after you posted the link to his website. Thanks for saving me a few bucks. Hopefully i get a shipping confirmation today (still shows awaiting fulfillment). 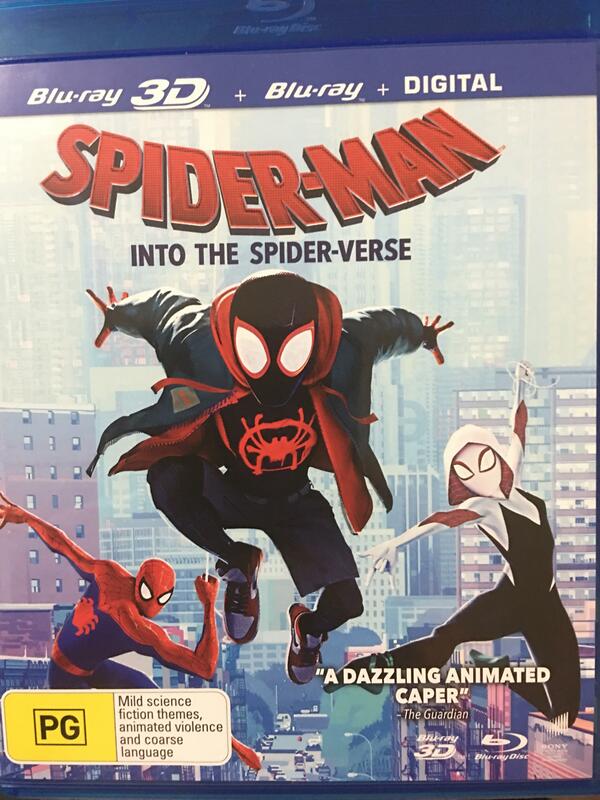 Don't know if it has been mention in this thread yet, but the bonus disc that comes with the steelbook from Rahul contains a 16:24 bonus feature titled: The Totally Radical Re-invention Of Spider-man. Anyone ordered the 3D steelbook for Rahul and received it? I want to know if it's identical to the US release. Appreciate the heads up! Why in the picture does it look like your slipcover has a layer of gloss finish peeling off? This is the Indian 3D version likely purchased from Rahul on eBay. As has been mentioned in other threads, the packaging of Indian releases is often of inferior quality (flimsy slipcovers; faded ink; etc.). But this is a legitimate release and not a bootleg. I received the 4K + 3D release from Rahul (pictured on previous page) and the slipcover is also very flimsy with some scuff marks. But the discs are perfect. Does anyone know when the German Amazon Steelbook is shipping? Never mind, it has an eta of early May. Jealous of the people that already have their 3d disc. This is one stunning 3D movie. Blown away from beginning to end. Perfect depth, like you were inside a comic book come to life. No popouts but it didn’t matter. This was made for 3D and surely the quality shows the technology must stay around/come back to new tv models. Gunshot cracks on the screen, sitting in the backseat of a cop car and seeing the window grills separating the front seats, falling snowflakes, depth looking over and down onto the city. Just gorgeous. Great movie too and some really unique and impressive animation.